InteraQtive books is an advanced form of enhanced ebooks that form the basis of the next generation of book development. With this post, we are opening our new blog with business news from eLearningworld Europe AB where you will find the latest about our services of interactive marketing and the developments of Storyteller On eLearningworld makerspace as well as events we are attending etc. 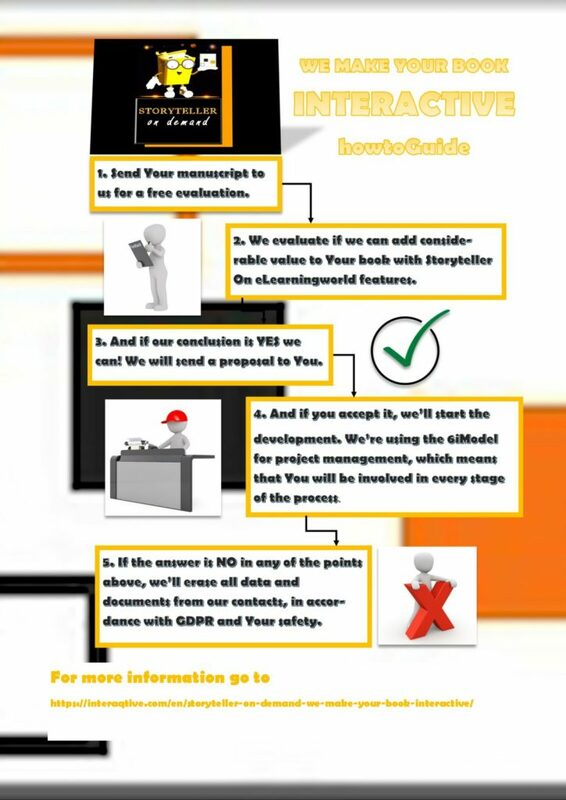 Below you’ll find a brief How to Guide for Storyteller on Demand, a service where we explore the opportunities of empowering your manuscript with different forms of interactivity to publish it in the format of the next generation ebooks.